Today in the office I had a new patient with lingual tori that almost touched at the midline. She was in the office for a TMD evaluation, our recommendation was to begin with a bite appliance. This left us with the challenge of how to get good quality impressions. My assistant was pulling out an assortment of trays, plastic and rim lock, to try and figure out what would work when I remembered a trick I hadn’t done in years. I reached over for a stock plastic tray, an upper tray. I asked the patient to lift her tongue to the roof of her mouth and began trying in the upper tray, over her lower teeth. I opened up the area that would be the palate so she could comfortably have her tongue out of the way. Once we had this adjustment made I used rope wax to cover the edge I had adjusted. I have not found a better way to correct for the sharp edge of plastic when you take an acrylic bur to the tray. From there it was impressions just like we usually do. 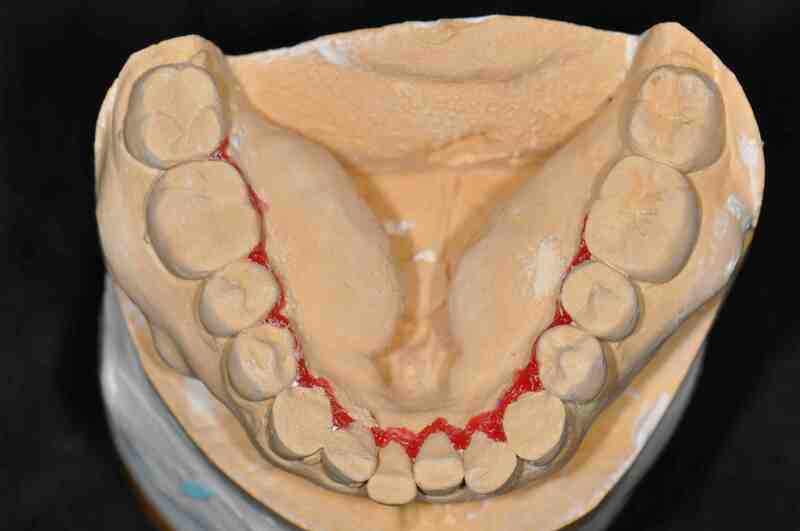 We applied tray adhesive to the modified upper tray, mixed alginate and took our impression. The patient commented after we were done that she had forgotten how challenging it was to have impressions because of her tori. She said it was a little uncomfortable to hold her tongue back, but was relieved that we hadn’t cut the tissue on the inside of her lower teeth, like usually happened. In addition to a much more comfortable experience for our patient we obtained a very high quality impression. 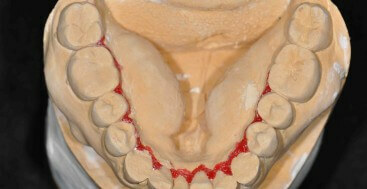 It captured all of the lower teeth including the lingual down well below the cervical margin. This isn’t a trick I need to use often, but when I do, it is a lifesaver. Brilliant! When the day comes again (and you know it will) I’ll be sure to credit by brilliance to you. Thanks for the share. Thanks Bryce, you know the rule is the first time you thank the person by name, next you say I learned this from a friend and then on the third time it is all yours! In truth I can not remember who I learned this from, but it has saved me on many occasions. You have SAVED the day with this idea. I appreciated your thoughtfulness within dentistry.